Hey everyone. Well I just purchased A 340 duster that's gonna need some TLC. 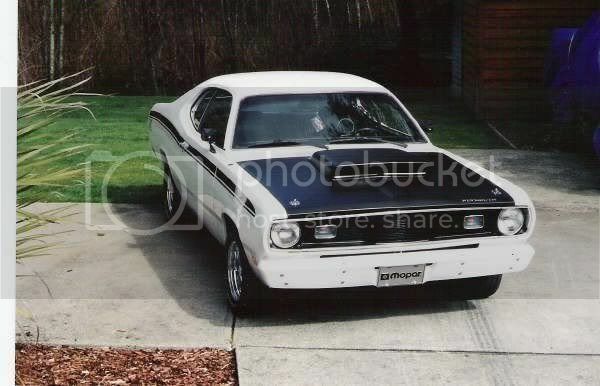 When I was 14 I built my last duster with my dad, and was one badass show stopper to take to high school. Lol. Well unfortunately that got sold when I moved away from home and now 10 years later it's time to do it again. Some of you may know my dad 69signetv8 who had a pretty stellar valiant as well. I'm gonna try and refresh my memory as this build goes on, and I'm definitely gonna need your guys's help along the way. This new duster is a build that seems to of been half done, given up, and sat for a lot of years. It has had so far a lot of work put into it with many receipts to go along , but also a lot of work unknown. The person I bought it from was not the one who did the original work so a lot is up in the air. :s.
Welcome to Fabo from Lethbridge! Oh ya, the pic thing....good idea! Welcome from Sherwood Park, looking forward to seeing pictures of your project. Welcome to FABO 340Duster247, These guys are excellent! Enjoy your project!! welcome to FABO ! nice car, and duster's are my favoriet A body. Thanks everyone. Thoes are pics of it now. :s. Lots to change. Lots to figure out. Welcome to FABO, that white Duster, was it on Vancouver Island? Yes it was Victoria. When I moved to Calgary she sat for a year in Victoria with my parents all wrapped up. Unfortunetly the paint job started blistering all over( not rust) just bubbles. 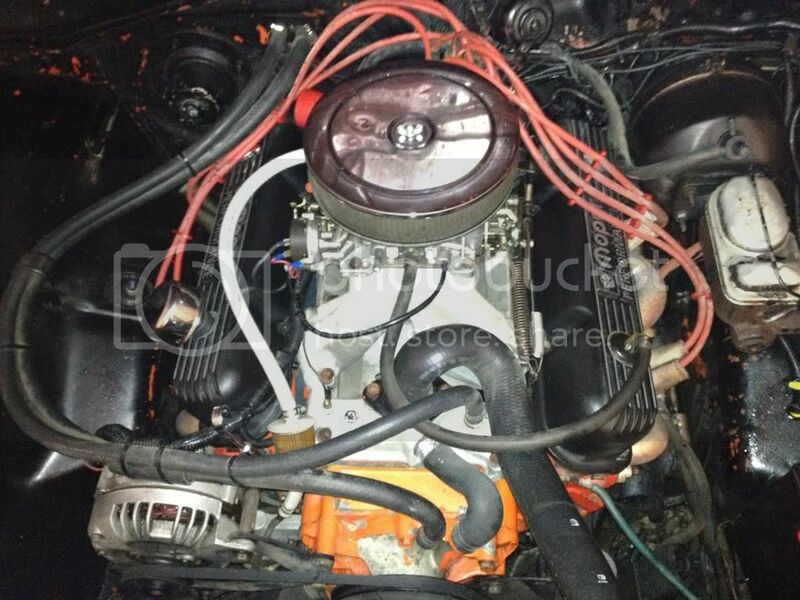 My dad decided , since I wasn't in bc anymore he was gonna take the fresh motor, and trans and put it in his valiant project he had on the go at the time. His name is 69signetv8. That was a nice car! I think Rob has that car now. I bought the V8 K frame from it? Parts car now? I know that it was just the body sold to him. I love your old Duster. I don't know what it is about White with Black, but It's my favorite. Hey thanks a lot!! Ya I got a lot of attention with that car. The guy who did the stripes messed up big time tho lol but sure was a fun car. I'm not sure what color I'm gonna do on the new 71. Black on satin back or sassy grass green on satin black. Still lots more to do before that decision. Thanks Kim. The new 71 came from Saskatoon. Has bc plates in the pic because those are older pics from the guy who did the original work in surrey The engine pic I recently took tho. Can't wait to get started. Welcome back for round 2.